Join the Concerned Citizens on Facebook! Visit the new Concerned Citizens website! The Isakson Living East Cobb proposal is an enormous and complex development, more than 1,460 feet by 773 feet. 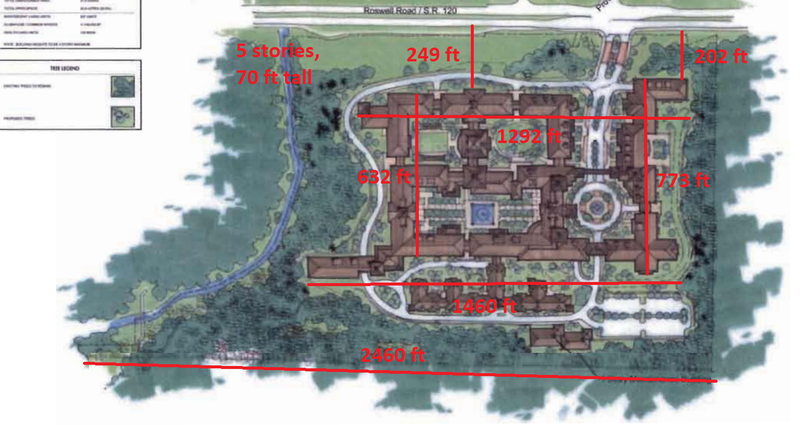 The height of the 5 story buildings would actually be taller than 70 feet, and that is on top of the 15-foot retaining walls around most of the property. The Marietta Big Chicken is 56 feet tall, so 2 Marietta Big Chickens would be 112 feet high. The proposed building would be 110 feet above the elevation of Roswell Road, 1/4 mile long along the Roswell Road side, and 1/8 mile wide on the East Cobb Park side. This Isakson Living proposal image is misleading because it shows only 4 stories; it does not include the 1-story parking garage or the 15-foot retaining wall visible from the perimeter of the building. The parking lot is built under the courtyard, but the parking lot is not underground, it is actually the first floor. Note that the courtyard trees and plants would need to be in pots or planters, rather than in the ground, because the courtyard is directly above the parking garage level. In other words, the entire building is an impervious surface, as the 8-10 acre parking level runs below the entire building, including the courtyards. Saturday, April 12, 2014 at 10:00 am Community Support for the Tritt Property & Picture Day! Please note that Concerned Citizens of East Cobb has nothing against Isakson Living. 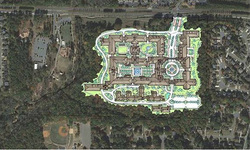 Our sole purpose for this website is to explain the reasons for not rezoning this area from R-20 (low density residential) to a CCRC (Continuing Care Retirement Community) in this particular area of East Cobb, with 3 nearby schools, and hundreds of single family homes surrounding the proposed property. We would support a smaller scale retirement community on this property, but not one of this size or density. Click here to read the blog post about the details for this proposed development. The 1st reason is due to the sheer size of the buildings. The width: The proposed building plan is 1,460 feet long (over ¼ mile) by 773 feet wide, with additional buildings too. To more fully visualize this, the Georgia Dome is only 745 feet by 606 feet. In other words, the proposed building would be twice as long as the Georgia Dome! The height: 4 stories of residential units in addition to a parking level, which would in actuality mean 5 stories viewable from the road, and the property is already on a hill. No property in unincorporated East Cobb, east of I-75 and north of the Windy Hill district, is that high, nor are there many comparable buildings of this size in Cobb County, and certainly none in a zoned residential area. 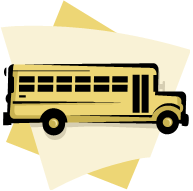 The 3rd reason is related to traffic, specifically the impact on school bus routes. The proposed property is directly in the middle of the school bus routes for East Side Elementary, Dodgen Middle School, and Walton High School, all among the highest ranked schools in Georgia. These 3 schools share school buses to pick up each school’s students at staggered times, and each school starts at a different time to accommodate this. The time it takes to complete the school bus routes would be impacted by the unavoidable traffic congestion, which would mean more school buses would need to be added to get all students to school on time. And we are all aware that the Cobb County school budget is already stretched so thin. Also, note that the planned development is over 10 years, which means -10 years- of driving/riding to schools via a construction zone. The 4th reason but certainly not the least reason is the environmental impact of this proposed building on Sewell Mill Creek. This concerns the impact of the construction on the creek, the runoff into the creeks, especially with a 10-year build out plan. The Sewell Mill Creek would be so negatively impacted by this project that it would destroy the little beaches children are still able to play in at East Cobb Park. Also this intense construction would impact the flood zone, and this area definitely floods as it did in 2009. The 5th reason is based on the adjacent WellStar medical complex, which is designed to have 1,800 parking spaces. This new addition to our area is already changing the feel of our very small-town, school-focused community. Right now, Roswell Road is a 4-lane road. With the proposed property development, plus WellStar, Roswell Road would most likely become a 6-lane highway. Could we continue to let our children walk and bike on a 6-lane, high-traffic road? Read more about the density of the proposed building in this blog post. The 6th reason for denying the request to rezone is that this request violates the just adopted CCRC (Continued Care Retirement Community) Zoning laws. 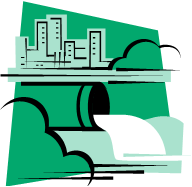 Read about the Zoning Rules here. The 7th reason for denying the zoning is that we asked Isakson Living about how they came up with the 987 unit building design on 54 acres, and we were told it is based on the cost of acquiring the property, rather than on the demand for this type of facility. Therefore, the number of units is not based on a needs analysis of this area. Note that the much smaller Sterling Estates on Lower Roswell just opened and it is not yet at full capacity. If the Isakson Living East Cobb retirement community failed, it would most likely turn into an apartment complex, creating havoc for traffic, home prices, and most importantly, these nationally ranked schools. With 987 1- 2- and 3- bedroom units, that would mean about 1,000+ children for this school district. All of these reasons combined are why we suggest the zoning request be denied and another location be found for this property: We want to maintain the community-oriented, school and family homes zoned area of East Cobb. another CC East Cobb website for more information.